Recently the exploitative, degrading working conditions at Robertson Winery were in every newspaper. This is not a new problem. The working conditions at Robertson Abattoir that were publicly denounced since 2011, appear just as another facet of workers exploitation in post-Apartheid South Africa. 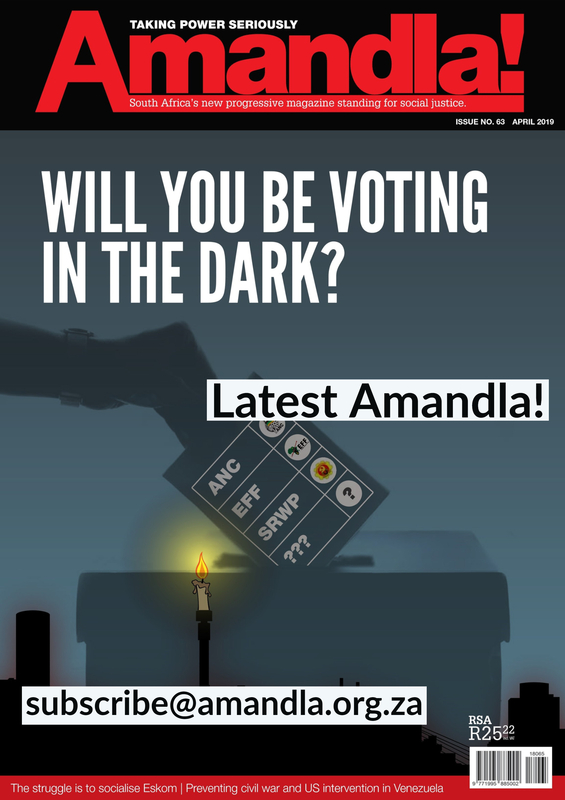 From Amandla! 20 By Amandla! editorial staff. The exploitative working conditions of the Robertson Abattoir were recently exposed in various newspapers. Workers we talked to in the township of Mkqubela shared their experience of being treated like slaves while they were employed at the abattoir. Then, five months ago they were fired. Most workers at the Robertson Abattoir were paid a basic wage of R320 a week, with no benefits. Slaughterers were often forced to work excessive hours, sometimes for 36- or 18-hour-long shifts, and were not allowed to refuse overtime duties. One of the workers, named Innocent, explains: ‘When we took a day off, the foreman of the abattoir would come to our home and threaten us by saying that if we stayed home we would never be able to do so again.’ Not only were they working for more than a full day in a row, but they were also expected to clean up the blood and residue afterwards, which is completely outside their job responsibilities. Their employer refused to provide cleaners, says Isak. ‘On a good day, we would arrive at the abattoir at 6 am and finish slaughtering at midnight. With the hour of cleaning we were never home before 1.30 am. The abattoir doesn’t have showers. So the bad smells of the meat meant we had to wash before going to sleep, leaving us hardly any chance for rest. We had no time with our families. My wife and children would be asleep when I left for work and asleep when I came back,’ says Isak. Sandile tells us that if members of their families were sick and they asked for financial help for medical purposes, ‘our boss would tell us he wasn’t a bank, and that that’s where we should go if we needed more money’. Dismissed workers would have to leave the same day, without receiving their weekly pay. 39 workers have gone to the Labour Court to challenge their 2010 dismissal from the abattoir after complaining about poor working conditions. These stories start to paint a more accurate picture of the hardship experienced by the vast majority of workers in South Africa. The idea that workers in South Africa are unproductive and over-paid is a complete and utter myth. Every rule has its exception. The few well paid workers are the tiny minority on the right side of the apartheid wage gap. When the majority of workers earn less than R2 500 per month it becomes clear the impact mass unemployment is having on holding wages down. 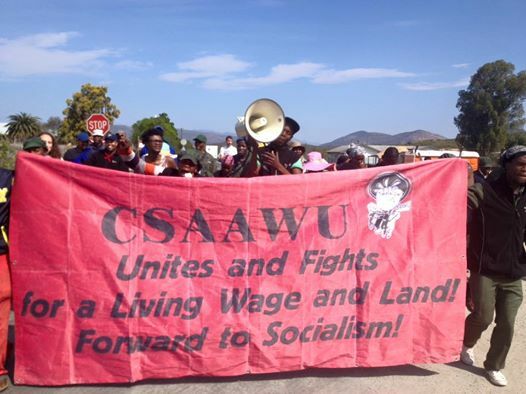 Whereas apartheid, the migrant labour system and the Bantustans were the main way of guaranteeing cheap wages, unemployment and globalisation where workers are forced to compete with the lowest paid workers in the world is sufficient for reproducing the cheap wage system critical to the functioning of South African capitalism. 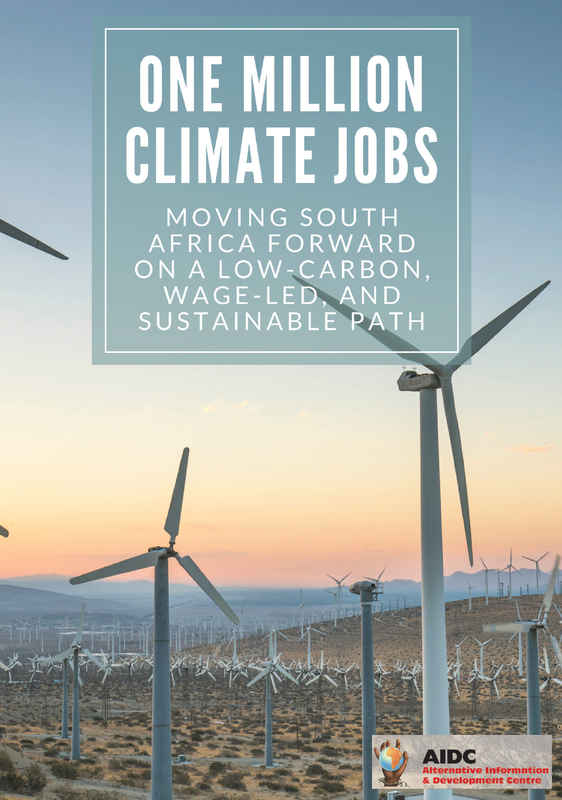 A living wage and decent work remains a distant dream for the vast majority of South African workers nearly 20 years after the end of apartheid.